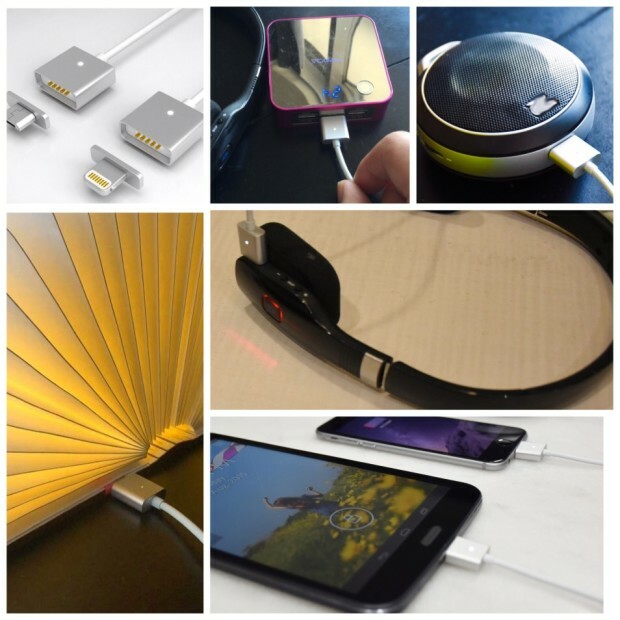 ZAPTIP is a magnetic connector which allows you to charge any device/accessory using a simple snap on connection with incredible speeds. In some cases almost twice as fast as other chargers. ZAPTIP was created as a solution to other magnetic charging solutions on the market. It's a unique charging solution developed to make the charging experience easier and faster for its users. ZAPTIP is compatible with all your personal devices/accessories, as long as it has a Micro USB or a Lightning power slot, you are good to go. Simply leave a ZAPTIP Adaptor inside any one of your devices and you are ready to snap the ZAPTIP into place and charge. Snap on the ZAPTIP Connector Cable which auto aligns itself and starts super charging instantly. As per their site, the average speed of 90 mins full charge across smart phones, in some cases twice as fast as regular chargers. More than 85% of the funds collected go into the direct cost of making the ZAPTIP and shipping it to you. The starter pack is only $21 compared to the suggested retail price of $38 after the campaign. By pledging now, you not only will be the first to receive ZAPTIPs but you will also save up to 50%. This project is under crowd-funding campaign at Indiegogo, already got a good response and 155% funded as against initial goal of $8,000 USD. You can support and contribute to this project by clicking Indiegogo.